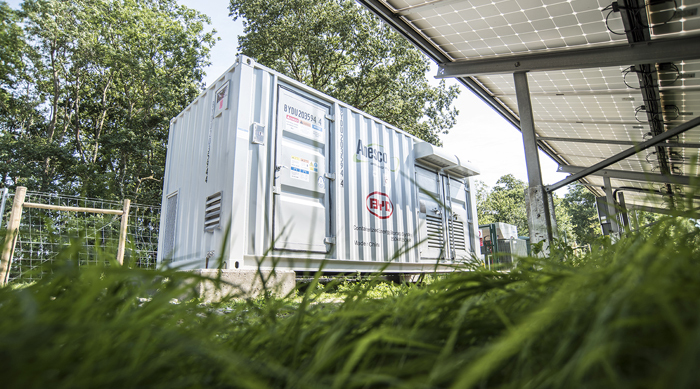 Anesco has revealed plans to build 185MW of battery storage by the end of 2018, creating the largest battery portfolio in the UK. The new projects will add to Anesco’s existing 18.9MW battery portfolio, which was recently joined by the firm’s twentieth utility scale battery unit. They will be used to help balance the grid and maintain its stability as more intermittent renewable generation comes online. Anesco executive chairman Steve Shine said the need for increased flexibility will lead to “significant growth” in the battery storage sector. “As well as aiding grid stability, energy storage can help maximise the use of renewable power being generated, while breeding a more resilient local grid,” he said. Anesco has teamed up with Limejump, which will commercially operate the batteries as part of its “virtual power plant” portfolio. Falling costs have arguably helped battery storage to reach a tipping point over the last year. Eight storage projects with a combined capacity of 201MW won contracts in National Grid’s Enhanced Frequency Response (EFR) tender last August. The following December storage developers secured agreements totalling 500MW in the main four-year-ahead (T-4) capacity market auction, having won no contracts at all in the previous rounds. This article first appeared on Utility Week’s sister publication Network.